Drill free installation makes it easy to remove or transfer rack to another van if necessary. NOT AVAILABLE FOR SPRINTER VANS. Click here for sprinter racks in standard and high top models. 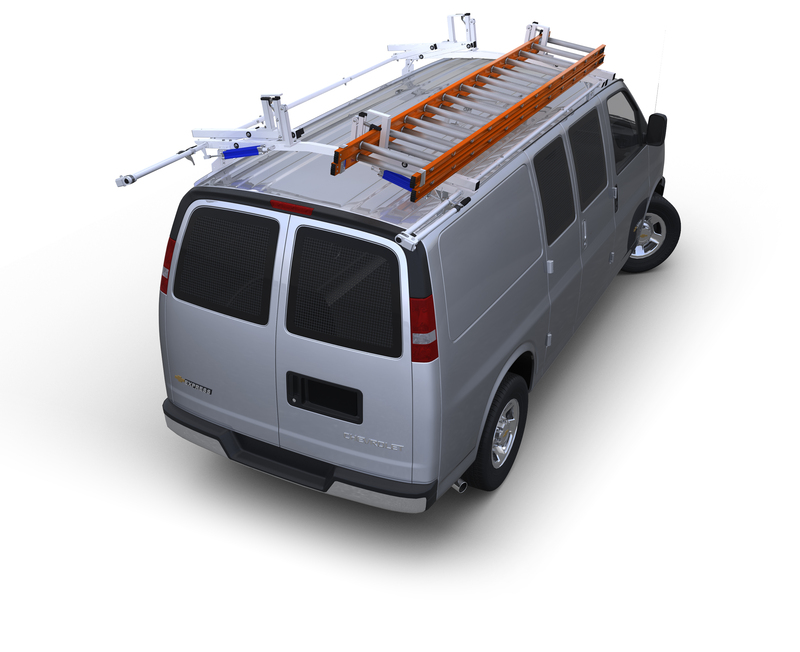 Occasionally, due to changes in aerodynamics caused by the installation with any ladder racks on a van, some vibration may occur. This can happen with any ladder rack and is not predictable. If you experience this problem, installing the optional Air Foil (sold above) along with re-positioning the rack on your vehicle slightly may help eliminate the vibration.